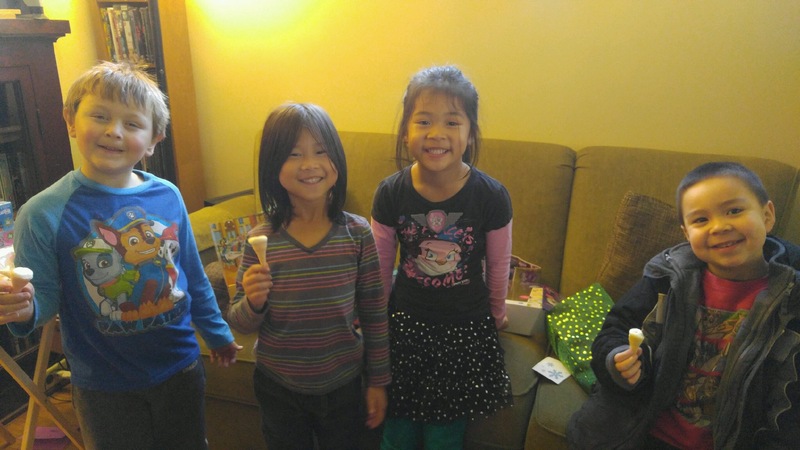 Her sixth birthday party was today. I made a rainbow cake with purple frosting, and a bunch of friends came over and tore around the house and ate snacks. A good day. 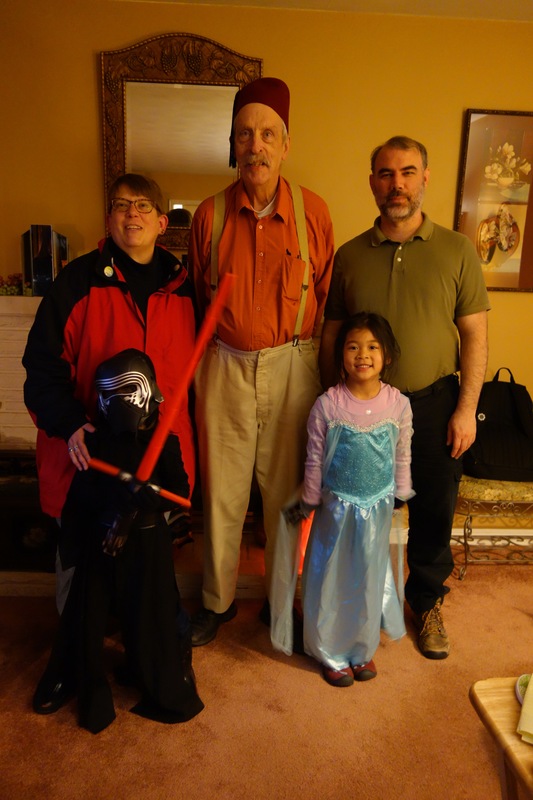 Mama and Baba as “too busy to get costumes”, Deepa as “This is a great hat!”, Rhizome as Elsa, and Aglet as Kylo Ren.